A denture is a removable replacement for missing teeth and adjacent tissues. It is made of acrylic resin, sometimes in combination with various other materials. 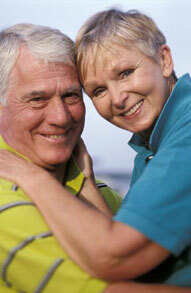 Complete or full dentures are used to replace all the teeth. Partial dentures may be used with some remaining teeth to fill in the spaces created by missing teeth. This will prevent the other teeth from changing position.